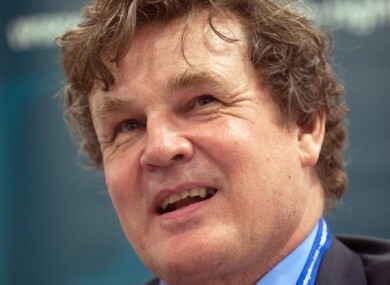 Peter Oborne said the paper was too close to HSBC. A SENIOR POLITICAL writer at the Telegraph has resigned over accusations that the paper bowed to influence from advertisers in its coverage of the recent HSBC banking scandal. His criticism of the alleged practices, and comments on the media industry itself, have been widely praised. In a letter published today on Open Democracy, Peter Oborne claimed the paper had committed ‘fraud’ against its readers by not running reports on the bank. He said the Telegraph, owned by the Barclay brothers, relied on the bank as a valuable source of advertising revenue. “HSBC, as one former Telegraph executive told me, is ‘the advertiser you literally cannot afford to offend’,” Oborne wrote. If major newspapers allow corporations to influence their content for fear of losing advertising revenue, democracy itself is in peril. He also claimed that a 2012 investigation by the paper’s own writers into accounts held by HBSC in Jersey was shut down, and the journalists ordered to destroy all evidence. He noted discrepancies in the paper’s coverage of other events, ranging from protests in Hong Kong to Tesco. Email “Telegraph writer resigns, claiming advertisers were influencing stories”. Feedback on “Telegraph writer resigns, claiming advertisers were influencing stories”.